Mortal or divine, the bloodshed must end, and Dust is the mage for the job. But first he must contend with a succubus, a talking sword, a spider queen, a goddess of magic, and eldritch abominations from beyond the stars. No big deal...right? 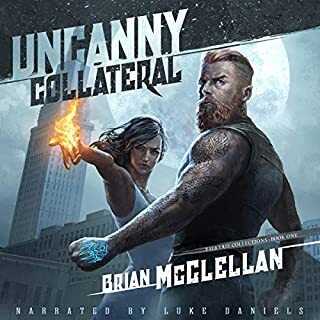 If you like snarky heroes, snappy dialogue, and a bit of grit and gore, you'll love the first standalone audiobook in Nazri Noor's series of urban fantasy novels. 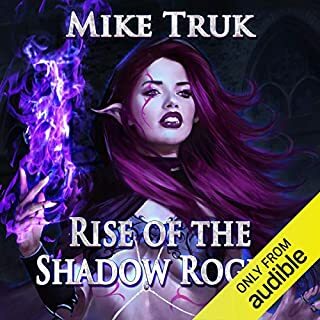 Explore the Darkling Mage universe and discover a taste of Shadow Magic today. I have listened to Luke Daniels before and like him as a narrator. His performance in this book was also well done. Good enunciation and emotion given to the voices of characters. Different characters sounded different and I could easily tell who was who. These are the important points for me and he hit them all splendidly. The story in this book is very confusing at first when you are dropped in to the middle of a scene with no introduction and the situation is slowly explained over the course of the book. The main character was not very likable for me as I have never really been a fan of weak-willed characters with false bravado. The different situations in the book never felt real or dangerous for the main character either. Everybody, friend or foe, was nice to the main character and it really made everything feel fake. The abilities in the book seemed interesting but were never really used much or given good descriptions. I think this story could have been good but the execution fell short. With that done, this is a great book. The narrator hits it out of the park with the voices, enough variance in tone and cadence with the characters to make them a great listen. The story, while treading in familiar water, swims in a different way. A touch of battle magic, a hint of spying, a dash of awkward main character and amusing side characters makes a great book. If you're looking for something new, in the fantasy/hidden magic world sort of setting this will scratch that itch. I had no expectations going into this book. I had not herd of it before, and had not read any reviews. I also did not read the prequel, Penumbra. The tone and pacing of the story are both well done. The magic system is different. The plot is interesting, and the story was great. The narrator, Luke Daniels, did an excellent job with the voices, tone, and pacing. Overall it was a great experience and I look forward to the rest of the series. Good start to a new series. The plot is interesting and the magic system is different. Great story, great characters, interesting world. I don't know if my expectations were just low going in but man what a great book this was. Story starts off at a fast pace. Love the main guy (though a bit frustrating how dim witted he can be at times). And of course Luke Daniels kills it without fail. You can't beat him. Great start to a new series. Hesitated when I first saw it but was very much proved wrong. The MC is very well done and proves to be someone capable of carrying the story forward. Luke Daniels does a fantastic job of bringing this world to life. I received a free copy of this audio in exchange for an unbiased review. Loved the story and the narration. Luke Daniels did a great job once again. Great urban fantasy packed with believable characters and magic. I really liked the main character Dustin. He has a sense of humor and quick wit to back it up. The story has a fresh take on magical powers and the supernatural. The ending was extremely enjoyable and had a grand battle to boot. The Narration is spot on for conveying the tone of the story. I am looking forward to listening to the rest of the series. 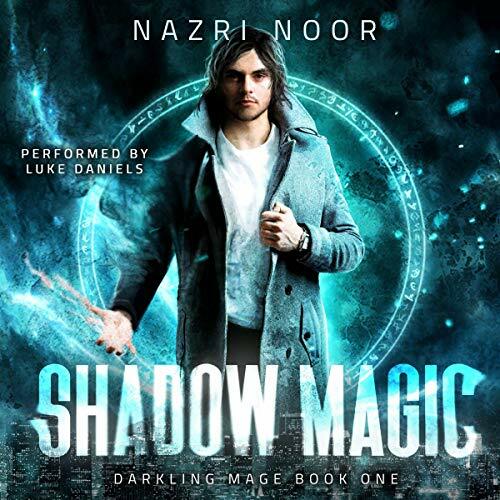 Shadow Magic by Nazri Noor is the first book in the Darkling Mage series, a supernatural adventure which introduces us to thief-turned-mage Dustin 'Dust' Graves. We meet Dust as he is beginning to come to terms with a more magical existence, and learns that he must use his new powers for something a bit more dangerous than pilfering some supernatural pottery. Shadow Magic was well written and I enjoyed the story. I really liked the premise but as the first book in a series I would have preferred Dustin's first adventure to have kept him at the Lorica. 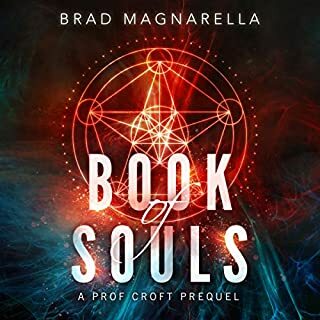 It is difficult to find the balance between setting up a series arc and creating a standalone story, but I would have loved to learn a little more about it and the other mages with Dustin still on the inside and part of the team, so I hope it features again in later audiobooks. Noor does a good job of setting up the alternate universe in which it is set; one where magical artefacts and supernatural creatures rub shoulders with the 'normals' in modern-day California. The book's lore develops nicely, and because our glimpse behind the veil mirrors Dustin's own journey of discovery it never feels as though there is unnecessary exposition. Some of the humour was a little laboured, with far more time than necessary given to a magical book of very little importance just so that Noor could make a joke about Facebook, but in a way that, too, was authentic. Guys like Dustin who make jokes about everything are going to drop a few clangers. I was very pleased to note that despite reminding me of these other great books, Strange Magic never felt as though it was borrowing from them too heavily and - most importantly - did not pale in comparison. 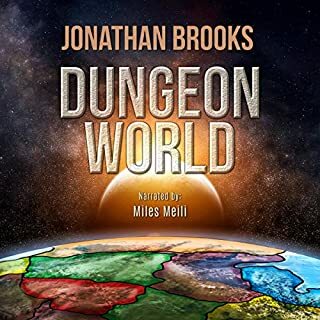 It held its own very well, keeping me engaged and entertained until the end, and I will certainly add the rest of the series to my wishlist if this one does well enough for them to become available in audio. The narrator, Luke Daniels, has an enthusiastic, expressive delivery which suited the protagonist's snarky showmanship. There were times when the relentlessness of the dramatic, irreverent, quips became a little annoying but that had more to do with the character than the narrator. 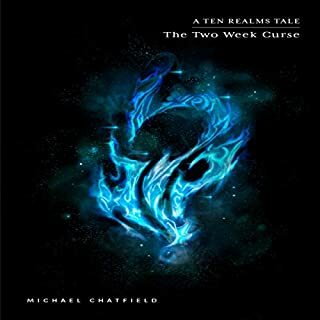 I would recommend this audiobook to fans of the other books I have mentioned, and anyone who likes urban fantasy. I had previously read the ebook version and enjoyed it in that format, but it meant I was not going into this version blind. Luckily, this book is one that stands up to rereading/listening with a well-realised world and magical system, filled with an array of interesting characters. Dustin, the main character, is a Hound for a shadowy organisation, which means he steals potentially dangerous magical items from those who do not understand what they have, he is a likeable mix of competency and idiocy with a healthy dose of snark to round things off. Anyone who has listened to a lot of audiobooks will probably be very familiar with the prolific Luke Daniels who delivers another quality performance with his narration, bringing the characters to life as always and my only slight quibble is that some of the voices he used in this one sound just like some from another series I am listening to at the moment, but luckily they work well in both places. 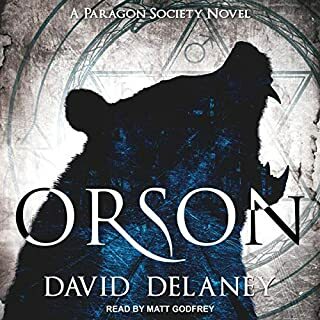 Overall, an enjoyable book becomes an even better audiobook and I will eagerly look out for the other books in the series to follow this one onto the format.